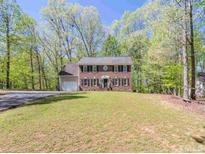 Find Hillsborough, NC Homes for sale. View Photos, Maps and MLS Data Now! The house is located within walking distance to central downtown Hillsborough. MLS#2249856. 65. Riders Trail - Mins to DT Hillsborough, famous Maple View Farm, UNC hospitals, I-40 & Hwy 54. MLS#2248416. 3048. Previous Owner may have added additions. Permits Cannot Be Located. MLS#2249865. 1128. Historic District - Any Home Can Be Built On This Lot. 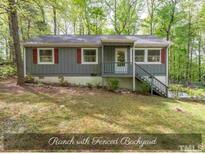 MLS#2249768. 64. 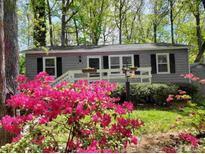 Wildwood - Great location convenient to Duke & UNC, shopping, no city taxes and low HOA! More pictures will be added! MLS#2249681. 3294. Gran View - Master Bedroom w/ 2 spacious closets, upstairs bonus/flex room in addition to the 4 bedrooms. See agent notes for details. MLS#2249575. 118. No permits found. Several running springs on property MLS#2249626. 284. 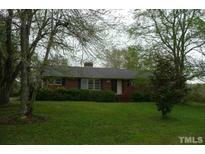 Minutes to I-40, I-85, Restaurants, & Shopping! MLS#2249402. 1128. Charles Woods - dual vanities in both the second bathroom and master, Stainless Steel appliances, smooth ceilings, wood floors on the main and did I mention the rain shower in the master bath? Bonus room...included! MLS#2249135. 4620. Wildwood - Great starter, retirement, investment property * Centrally situated within treed neighborhood away from main roads * Engineered hardwoods * Tile in kitchen & baths * All appliances convey * 2009 ROOF * 2018 FENCE * 16x12 deck * 10x10 storage shed * Raised garden beds * Nearby park * Close to shops and I-85 access -- mins to Durham, RTP & Chapel Hill. MLS#2249133. 3048. This home is just down the road from the future Community Center. Dog Park steps away! MLS#2248579. 5014. Just steps to walking trail to downtown Hillsborough, dog park and the community center. Call today! MLS#2248398. 3770. Seperate laundry room adjacent to the kitchen. MLS#2248490. 5014. Great Location - Just Off Hwy! Won't Last Long! MLS#2248279. 4381. Burkes Meadows - Close to 70 & shopping! It won't last long! MLS#2246754. 987. Sunroom overlooks the lush backdrop of trees. Peace & serenity found! MLS#2247779. 3670.